Who is unknown of Shinchan? Isn't this an impossible thing! Let's celebrate this new year with Shinchan and his greeting cards. Print out the new year Shinchan greeting cards from this resource and have fun in coloring and sharing them. This cartoon kid needs no introduction. He is our dearest Shinchan. Shinchan is the most popular cartoon comedy kid on Television and is the hero of his show "Shinchan". Here on I have come up with something that you are going to love. Especially Kids! for you, here are the coloring pages as well as the new year greeting cards of Shinchan. Have fun in coloring them. Also use the blank side to write creative and greet your nearest and dearests. 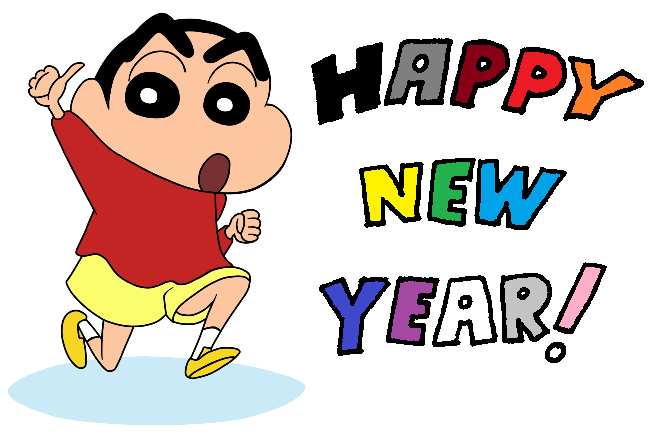 Celebrate this new year with Shinchan and his greeting cards! See the attachments given below. This is a very good and wonderful resource because it seeks to fire the creative power in the today's kids. I really want this site to create a contest for kids on this issue of creativity as it will bring up the creative mind and creative power in the kids.